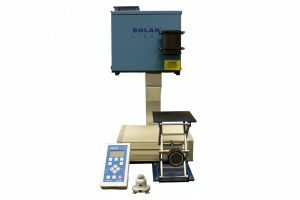 Solar Light’s comprehensive PV Cell Testing Kits arrive with everything required to immediately begin testing, including the Simulator, Power Supply, advanced Data Logging Radiometer, PMA-Series Full Spectrum Class II Pyranometer, safety glasses, and more. PV Cell Testing Solar Simulators produce Class A Air Mass 1.5 Emission Spectrum to accurately replicate full spectrum sunlight, with 1 sun output intensity. A Source Meter and Calibrated Reference Cell are also available optionally. 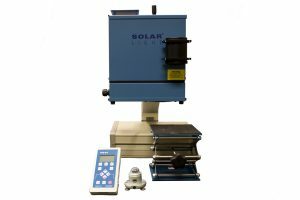 See our available Photovoltaic cell testing kits below. 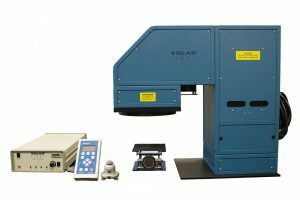 LS1000-6S-002 Solar Simulators produce a 6″ (15.25 cm) Class A Air Mass 1.5 Emission Spectrum to accurately replicate full spectrum sunlight for PV Cell research, in accordance with the latest ASTM, IEC, and ISO laboratory standards. LS1000-4S-002 Solar Simulators produce a 4″ (10 cm) Class A Air Mass 1.5 Emission Spectrum to accurately replicate full spectrum sunlight for PV Cell research, in accordance with the latest ASTM, IEC, and ISO laboratory standards. 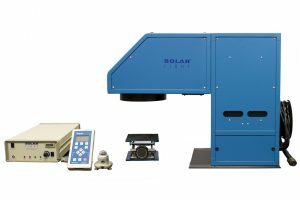 16S-150-002 Solar Simulators produce a 1.2″ (3 cm) Class A Air Mass 1.5 Emission Spectrum to accurately replicate full spectrum sunlight for PV Cell research, in accordance with the latest ASTM, IEC, and ISO laboratory standards.